Wedding venue planning is an essential step in the organising of your wedding. Choosing the right wedding venue for your ceremony or your reception can make or break your big day. Over my years as a wedding photographer, I’ve shot at many different wedding venues around the world. Some of the venues were designed for wedding ceremonies, but many more were not. Your wedding should be exactly how you want it. You shouldn’t have to think about what would be best for your photographer when you make your plans. 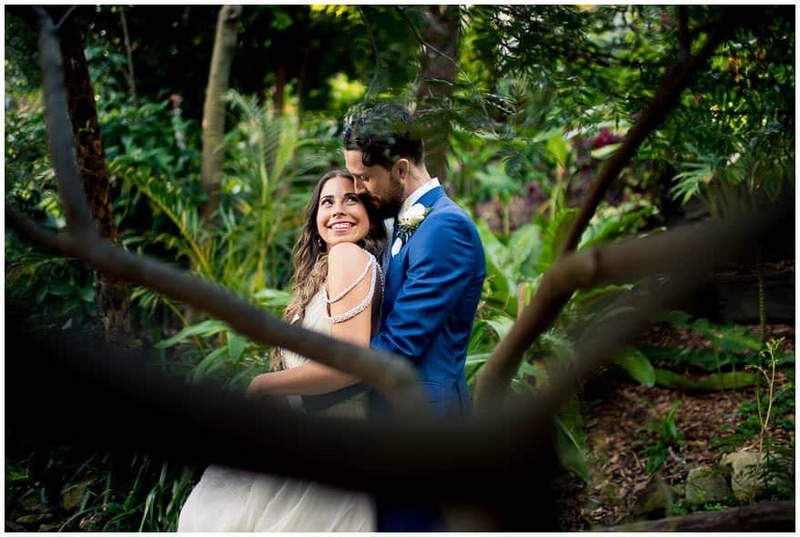 However, I think it’s my duty as your wedding photographer to advise you on certain things so that you can decide whether you want to make the necessary arrangements to ensure the photos are as good as possible. 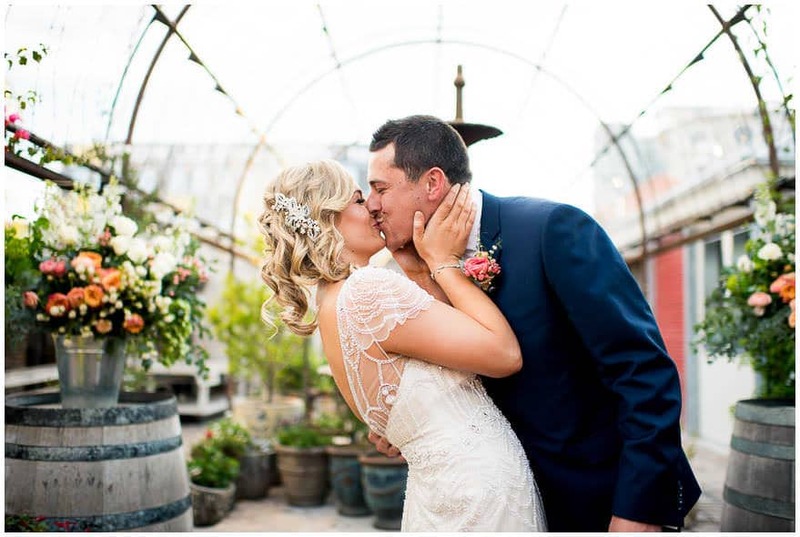 Here are some tips for planning your wedding venue. 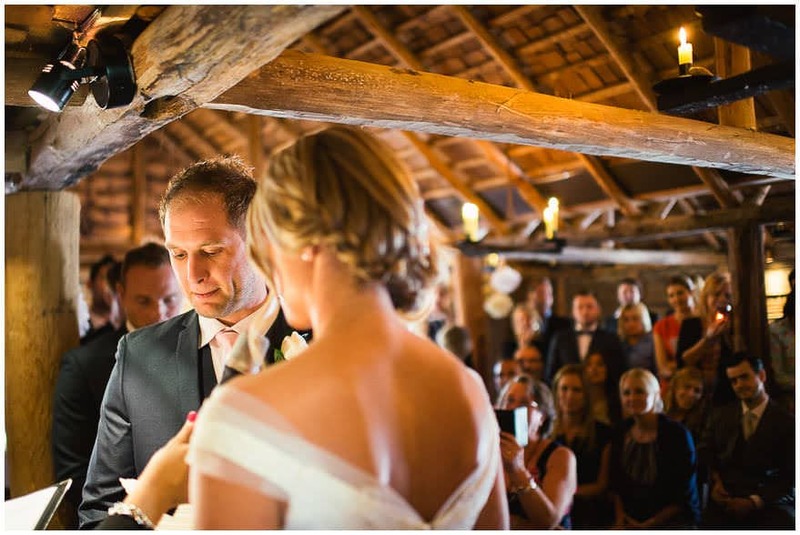 This is only relevant for evening or indoor weddings, but having adequate lighting can make a huge difference to the vibrancy of the colours in your photograph, the amount of ‘noise’ in the image, and how sharp the picture is. In short, if your ceremony is too dark, your photos won’t look their best. So, what’s too dark? If you’d struggle to read a book, then that’s a good indicator. This doesn’t mean you need to floodlight your ceremony though of course! Fairy lights, lanterns or other mood lighting accessories can do the job is used liberally. 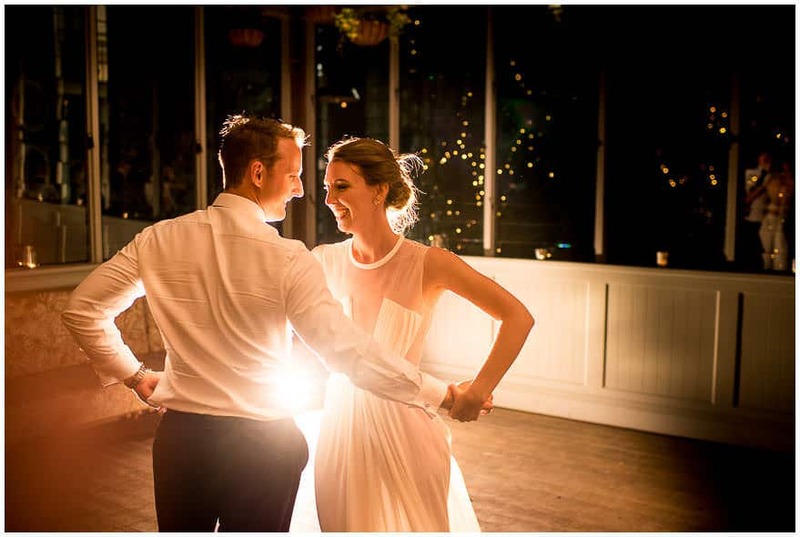 As long as you make sure that you and your partner have some kind of light falling on you, that’d be great not only for photos, but also for your guests to see your faces! For the cake cut and first dance, it’s usually dark and I appreciate that you won’t want any particular lighting at this stage. Just make sure your guests (including grandma) can see you!! This is just as important as not having enough light, and much more relevant to your wedding if it’s during the summer months. Since wedding ceremonies often take place around 2-3pm, the sun is directly overhead and very harsh. This is without doubt the most unflattering time of day to have a photo taken. During the wedding portrait session we can try and find some nearby shade, but during the ceremony, if you’re standing in direct sunlight, there’s not a lot we can do. In direct sun, not only will the photos suffer, but so will you. 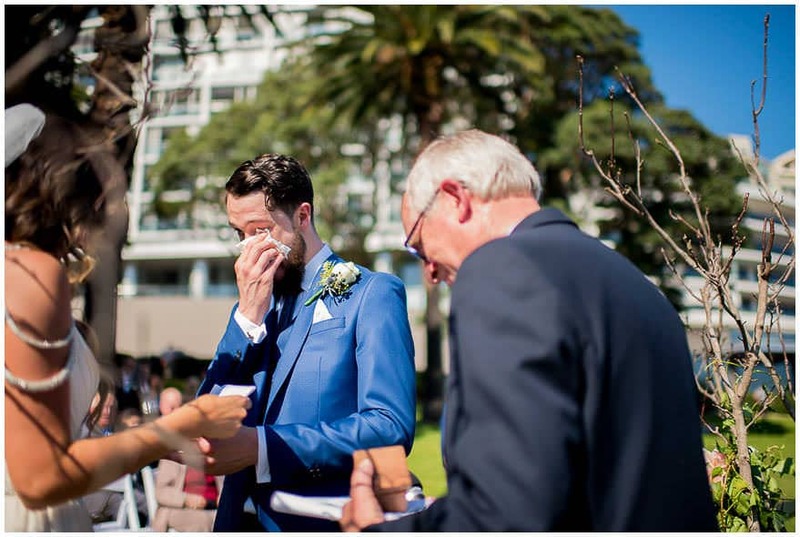 I’ve seen brides and grooms in the sun pass out before, and your poor groomsmen in their 3 piece suits will start to look a little worse for wear! Some popular outdoor wedding ceremony venues have very little shade. One such venue is Clark Park in Lavender bay, Sydney. I’ve shot here several times in 30+ degree heat with no shade, and felt very sorry for the bridal party! If it’s possible for your venue, please try and consider some options for shade for your ceremony if only for the comfort of you and your guests! What I mean by this is having enough room for your photographer to move around. I like to shoot from many different angles during your wedding ceremony to make sure I tell a complete story with the pictures. I’m pretty good at being like a ninja, ducking and crouching to not disturb you or your guests, but I still need a little space to move. So what kind of space are we talking here? Ideally there’d be at least 2-3 metres gap between you and the first rows of your guests’ seats. This also makes sense for your guests if they’re sitting, so they don’t need to crane their necks to see you properly! 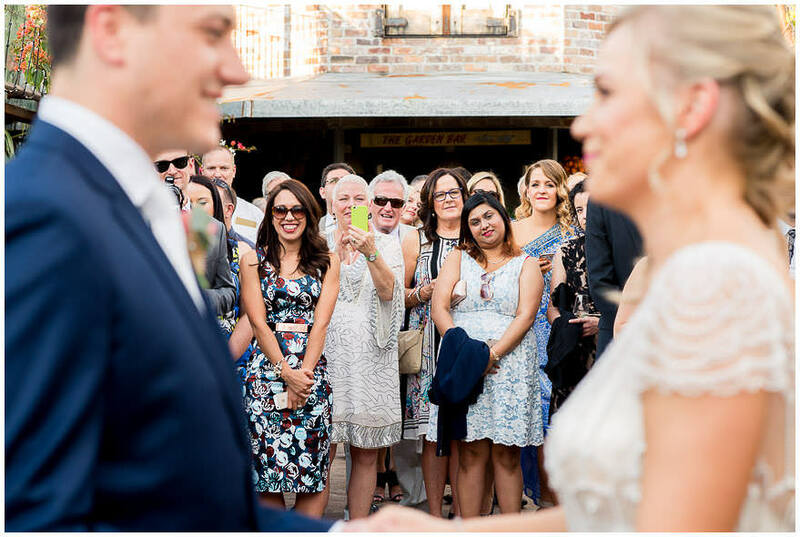 If having space here isn’t possible, ideally there needs to be a passage through the middle of your guests for me to access so I can get a shot of you from the front. The last thing I want to do is stand in front of your guests in order to get a shot. If you have passages on either side of the guests’ seating, and even behind you and the bridal party, I can deliver photos from multiple angles which is always fun to see after your wedding. I have shot at a couple of wedding venues that are in beautiful locations, but are extremely cramped and difficult to move around freely. The Bible Gardens in Sydney’s Whale Beach is one of these locations. If you’re getting married here though, don’t despair! 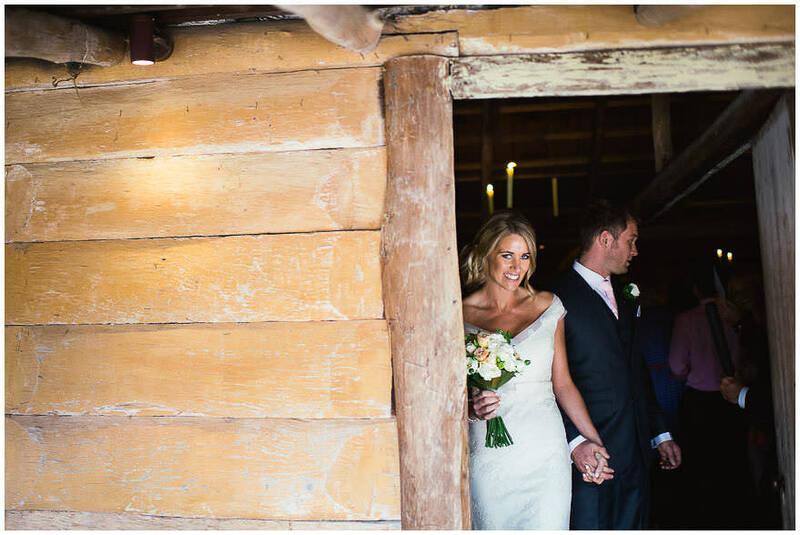 With a bit of careful wedding venue planning and discussion before your big day, we can still make it work! 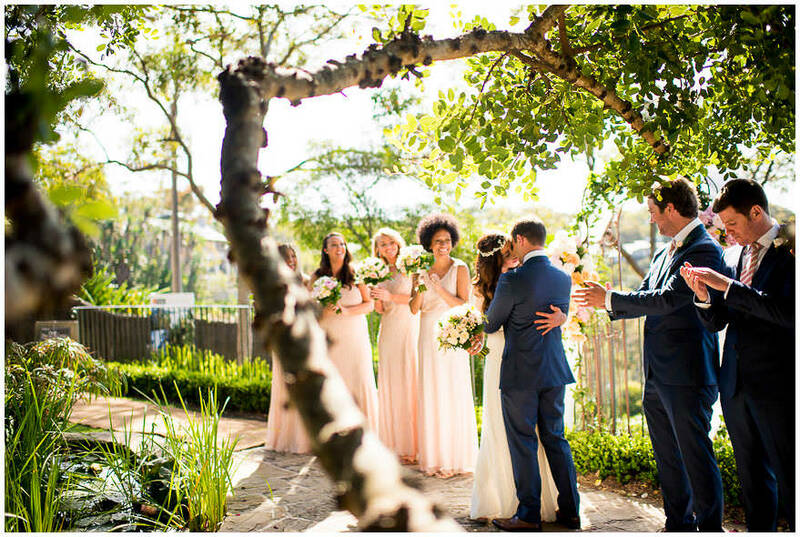 Your wedding is about you, your partner and your closest friends and family. I’m always conscious that your guests are there to enjoy the occasion candidly, so make sure I’m as invisible as possible. I’m pretty tall, but will spend a lot of your ceremony crouching down or ducking if necessary. 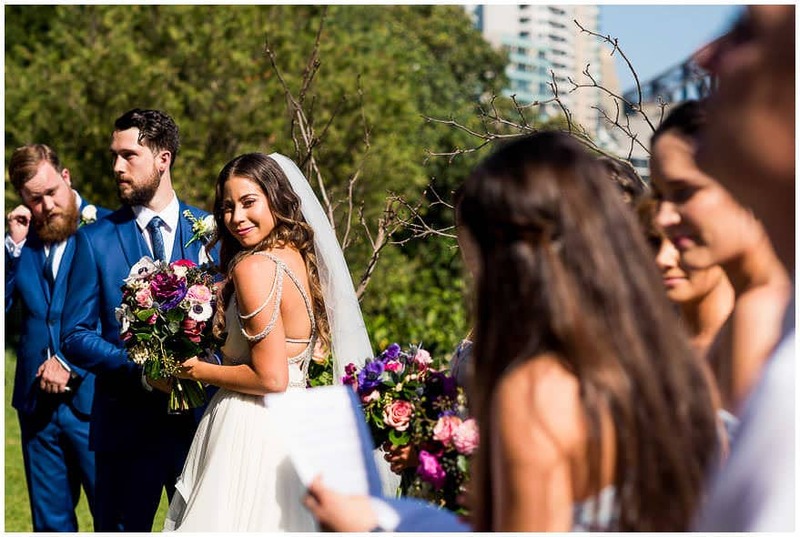 I hope these wedding venue planning tips will help give you a better idea of how to plan your wedding ceremony venue to allow for the very best photos possible.